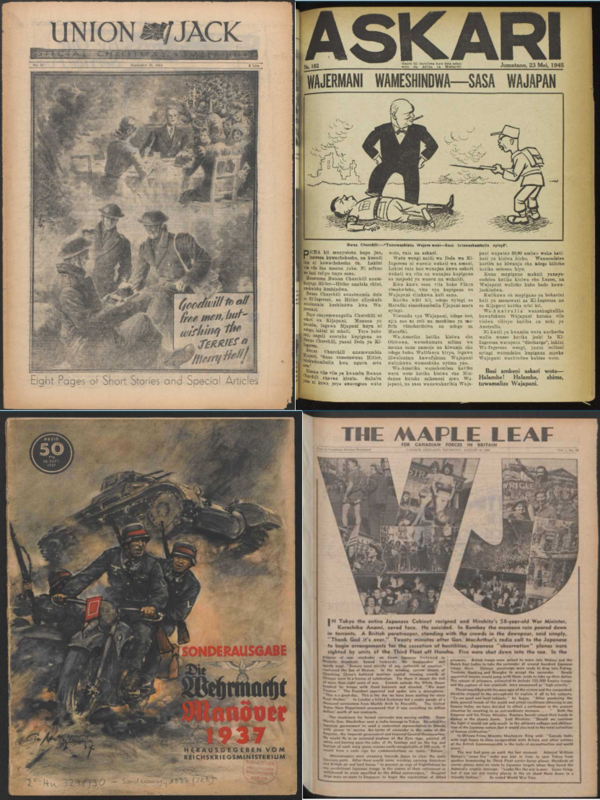 You might be interested in using Service Newspapers of World War Two if you are looking for news coverage of key events, victories and battles of WWII, the soldier’s experience, the role and portrayal of woman in WWII, activity on the home front and the civilian experience, morale and propaganda, light entertainment, local news and customs, education and welfare and Empire. 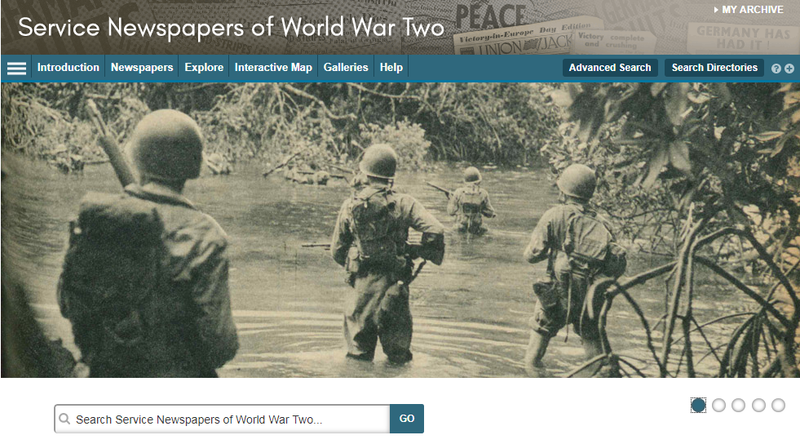 This entry was posted in Library, New, Online resource, Primary sources and tagged 20th century, Africa, archives, Asia, Australia, Britain, Canada, cultural history, Databases, Europe, gender studies, History, India, International Relations, New Zealand, newspapers, primary source, social history, United States, World War Two by cstirling. Bookmark the permalink.